Having a power steering fluid change done on your vehicle is probably not a maintenance item you’ll find in your vehicle’s owner’s manual. It is also something that you will likely have a difficult time figuring out how often you should have done. Since a power steering fluid change is not a manufacturer’s listed maintenance item, each mechanic or shop can determine on their own how often they think your power steering fluid should be changed. Based on their experience and expertise, mechanics can say you should change your power steering fluid as often as every 30,000 miles, to advising that it never has to be changed as it will last for the entire life of your car. 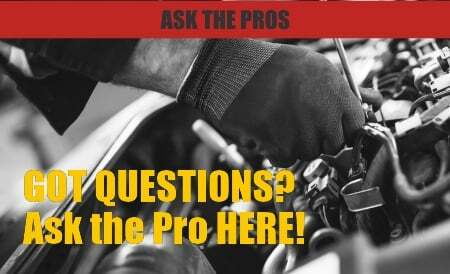 With all these differing opinions, it can be difficult to tell what the best thing to do for your car is. To understand when to get a power steering fluid change on your car you need to understand why we change fluids in any system in your car. 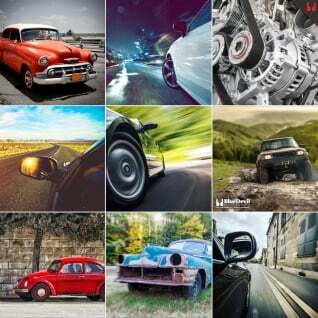 The fluids in your car provide cooling, lubrication and in some case energy. For example, your engine oil provides lubrication and cooling to the rotating components in your engine while your transmission fluid provides cooling and lubrication as well, but also acts as a hydraulic fluid to transfer energy in your torque converter and to create gear changes by moving clutches and bands. 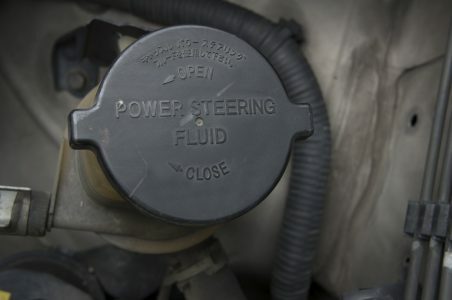 Similarly, your power steering fluid is used to create movement in your steering system by applying force through your steering gear or steering rack as well as keeping things cool and the pump lubricated. Over time, even with normal use, the components in these systems will start to wear. The microscopic wear products will get caught up in the fluid circulating through the system and suspended in the fluid. These wear products are what cause the fluids in your system to start to look dark over time. The tiny pieces of rubber or metal suspended in the fluid not only cause it to look dark but can start to cause excessive wear in the system as the fluid can’t lubricate things as well with the particles suspended in it. Lastly, the chemicals and additives in these fluids can start to break down over time due to heat, use and the entrapment of outside particles. This also will lower the fluid’s ability to lubricate and cool the system it is in. All these reasons add up to the necessity to change the fluids in your vehicle from time to time, including the power steering fluid. Since your power steering system is a tightly closed system that does very minimal work compared to the other systems in your car, your power steering fluid will be changed much less often than the other systems. Also, like the other system, stop and go driving, high temperatures and other harsh environments can make it worth changing the fluid more often. When to change your power steering fluid is subjective, but if you drive your vehicle hard, has high miles or the fluid is very dark to black, you should consider changing your fluid to keep things safe. The two easiest ways to perform a power steering fluid change is to either empty and refill the reservoir or bleed the system with the engine idling. To empty the reservoir, you will need a vacuum pump to draw the fluid out and a container to catch it in. This method will only replace about 1/3 of the fluid in your system but it is a good start and very simple to do. To bleed the system, you will need a helper. You can start by finding a low pressure power steering line, usually the cooler in the front of the car, or the return line running from the rack to the reservoir. Start by loosening the fitting and placing a drain pan under the line. Then have your helper start the engine then quickly move to the reservoir to keep the fluid level topped off with new fluid. Remove the fitting so the old fluid can run out of the low pressure line into your container while your helper keeps the reservoir full. Remember to cap or plug the other side of the low pressure line so you don’t empty the reservoir that way. Once you have new fluid running out of the low pressure line, reconnect and tighten the fitting while the engine is running and your helper continues to keep an eye on the reservoir level. This will exchange almost all of your old power steering fluid but takes a lot of coordination, can be a messy job and may allow air bubbles to enter your power steering system and is only recommended for experienced mechanics. If you noticed a low power steering fluid level before you started your power steering fluid change, add BlueDevil Power Steering Stop Leak with your new fluid to seal the leak that caused the low fluid level in the first place.